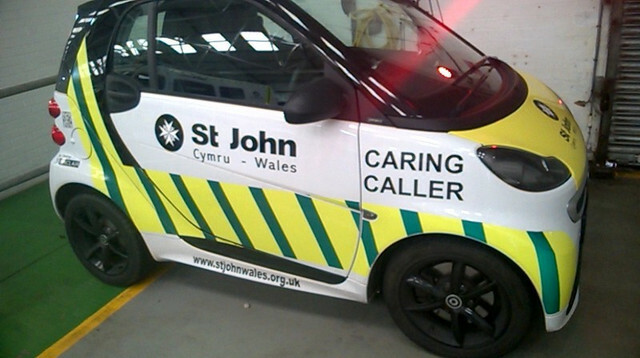 Caring Caller has been specifically developed to help assist and be the first port-of-call for patients who have been discharged from hospitals via the St John Cymru Patient Transport Service (PTS). Our Caring Caller contacts patients to ensure they are safe, well and are coping outside of the hospital environment. From here, our Caring Caller will enquire as to whether a patient requires any additional information and support and provide information to services which may help support a patient’s recovery. Where necessary, our Caring Caller can visit a patient in their home and provide support and guidance if requested. In addition, our PTS crews can refer a patient direct to our Caring Caller if they are concerned or worried about the patient’s general welfare after they’ve been discharged from hospital. The Caring Caller will liaise with our National Safeguarding Manager and discuss any concerns raised. From here, any necessary action will be taken. Examples of our Caring Caller involvement can be found here.